You are browsing the archive for 2019 March 07. Draped in lush trees and surrounded by stately buildings, Buenos Aires’ Plaza de Mayo might look like a place to check out monuments or stop for a relaxing rest. But each Thursday, one of Argentina’s most famous public squares fills with women wearing white scarves and holding signs covered with names. They are the Mothers and Grandmothers of the Plaza de Mayo, and they are there to bring attention to something that threw their lives into tragedy and chaos during the 1970s: the kidnapping of their children and grandchildren by Argentina’s brutal military dictatorship. For decades, the women have been advocating for answers about what happened to their loved ones. It’s a question shared by the families of up to 30,000 people “disappeared” by the state during Argentina’s “Dirty War,” a period during which the country’s military dictatorship turned against its own people. 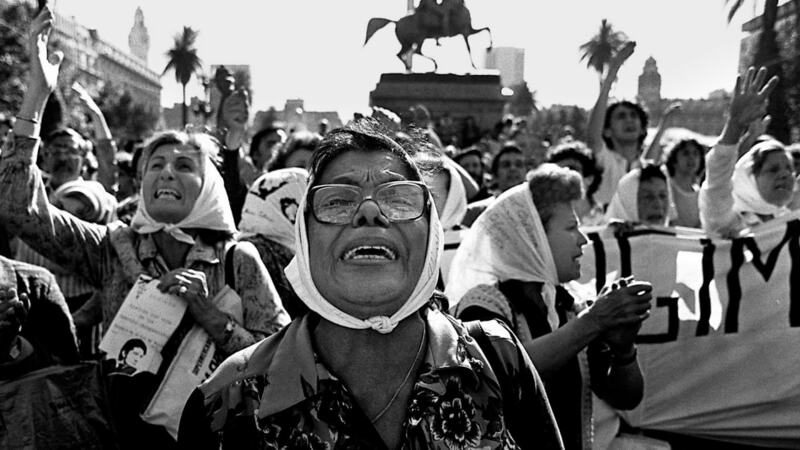 Clara Jurado (center) and other Mothers of the Plaza de Mayo claim for their missing children in front of the government house in 1982. From 1976-1983 during Argentina’s “Dirty War,” up to 30,000 people “disappeared”. In 1976, the Argentine military overthrew the government of Isabel Perón, the widow of populist president Juan Perón. It was part of a larger series of political coups called Operation Condor, a campaign sponsored and supported by the United States. The military dictatorship that resulted called itself the “Process of National Reorganization,” or “Proceso,” and dubbed its activities the Dirty War. But the war wasn’t with outside forces: It was with the Argentinian people. The war ushered in a period of state-sponsored period of torture and terrorism. The junta turned against Argentina’s citizens, whisking away political dissidents and people it suspected of being aligned with leftist, socialist or social justice causes and incarcerating, torturing and murdering them. The capital of the United Kingdom has a long, rich history that stretches back to the ancient Romans. 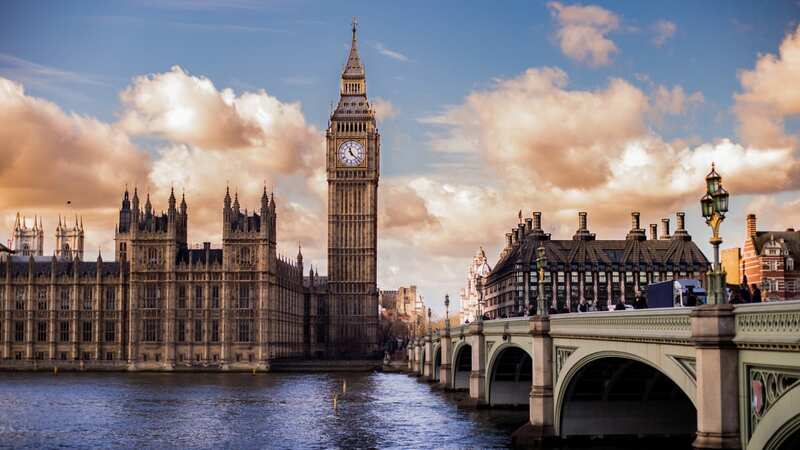 London is the capital of England and the United Kingdom and one of the largest and most important cities in the world. The area was originally settled by early hunter gatherers around 6,000 B.C., and researchers have found evidence of Bronze Age bridges and Iron Age forts near the River Thames. Ancient Romans founded a port and trading settlement called Londinium in 43 A.D., and a few years later a bridge was constructed across the Thames to facilitate commerce and troop movements. But in 60 A.D., Celtic queen Boudicca led an army to sack the city, which was burned to the ground in the first of many fires to destroy London. The city was soon rebuilt, but burned again about 125 A.D. More rebuilding occurred, and within a few generations the population exceeded 40,000 people. After the fall of the Roman Empire in 476 A.D., however, the city was attacked numerous times by Vikings and other raiders, and soon London was largely abandoned. The city’s fortunes began to change in 1065, when Westminster Abbey was established. One year later, after his victory at the Battle of Hastings, William the Conqueror was crowned King of England. During his reign, the Tower of London was built, and in 1176 a wooden London Bridge that had repeatedly burned was replaced by a bridge of stone. As the power of the Tudor and the Stuart dynasties grew, London expanded in size and importance. By the time Henry VIII was king, the population of London was at least 100,000. Tensions between Protestants and Catholics, however, darkened the otherwise prosperous reign of Henry’s daughter, Elizabeth I. In 1605, Catholic sympathizer Guy Fawkes tried—and failed—to blow up the entire British House of Parliament in the infamous Gunpowder Plot. 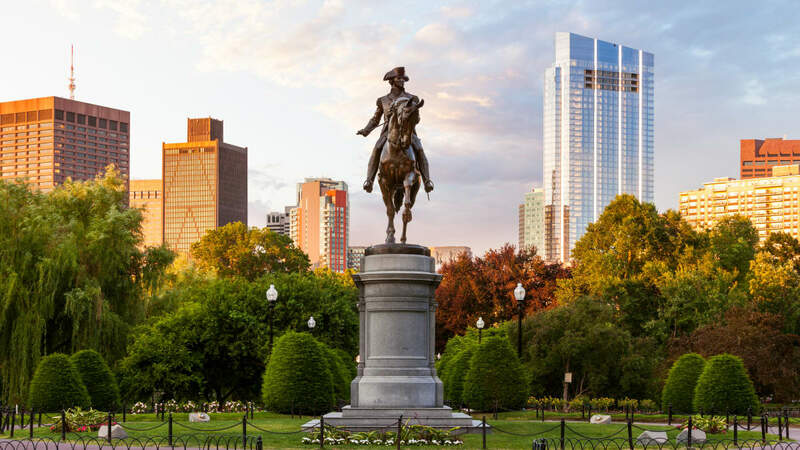 Boston has played a central role in American history, from its settlement by the Puritans, to its American Revolutionary battles to its storied universities. Boston, the largest city in New England, is located on a hilly peninsula in Massachusetts Bay. The region had been inhabited since at least 2400 B.C. by the Massachusetts tribe of Native Americans, who called the peninsula Shawmut. Captain John Smith in 1614 explored the coastline of what he christened “New England” (to make the area sound more attractive to settlers). Within a few years, more than half the Native Americans in the region had died of smallpox introduced by European explorers. READ MORE: Did Colonists Use Smallpox as Biological Warfare? A fleet of ships helmed by Puritans left England in 1630, settling in the Massachusetts Bay Colony. Led by John Winthrop, the group soon merged with the Pilgrims’ Plymouth Colony, located about 40 miles to the south in Cape Cod Bay. Originally called Tremontaine for the three hills in the area, the Puritans later changed the settlement’s name to Boston, after the town in Lincolnshire, England, from which many Puritans originated. In the 1630s, Boston Latin School—where Benjamin Franklin, John Hancock and Samuel Adams studied—and Harvard University were founded. Despite the premium placed on education and religion, Boston’s Puritans weren’t keen on tolerance: The “crime” of being a Quaker was punishable by imprisonment or death, celebrating Christmas was banned, and in 1643 the city welcomed the first slave ship into Boston Harbor. After the 1770 Boston Massacre, during which British troops fired upon a mob of colonists, killing five, anti-British sentiment reached a fever pitch. When the 1773 Tea Act levied taxes on imported tea, the Sons of Liberty staged the Boston Tea Party, dumping some 45 tons of tea into Boston Harbor. READ MORE: Did a Snowball Start the American Revolution? violation of campaign finance laws. within such a highly restrictive system. reality of running for public office. the rules are constantly changing under their feet? candidates, these limits make it very difficult to fund a campaign. into carrying out preferred policies. potential existential crisis and not inclined to listen to others. This response should become a model for the future. unlikely to abandon, makes that withdrawal even more imperative.